Prospero automates your entire corporate action processes, including everything from event capture right through to claims and settlements. Everything which can be automated in a risk-free manner is taken off your hands. You can significantly reduce the workload for almost every event. Prospero has a built-in Corporate Action Rules and Process Management module designed to boost efficiency across the whole range of your firm’s operations. It enables you to fully monitor any type of corporate actions with a flexible set-up of workflow and notifications, and a comprehensive coverage of global corporate actions. 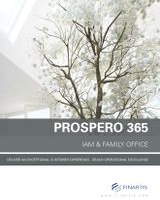 No need to worry about system interfaces; with Prospero, everything is handled in a single module. Prospero keeps it simple: now you can schedule and organize the entire process, using templates tailored to your needs. You can also add any specific rules you need to, the way you want to, in just a few clicks. Our multi-level overview of the process leaves you in control of every specific need you have, from event capture through tasks, elections, notifications, to settlement. 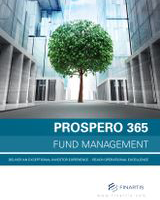 With Prospero, applying rules such as rebates, taxes and transformations right through to specific funds and securities has never been so effortless. As soon as you’ve finished working on an event, it is automatically reconciled and marked as complete. Claims are settled, documents are transmitted and taxes are recorded. In short, everything is streamlined so that you, the user, only need to take care of exceptions. 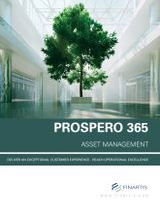 Moreover, Prospero clears the communication lines between the corporate action department and shareholders, at times when both require information. It calculates costs and entitlements, applying them at the correct times. Prospero offers a comprehensible user-friendly overview of your notifications, daily tasks and corporate action activities. Visualize any entire corporate action process and drill down into more specific details of each specific status. 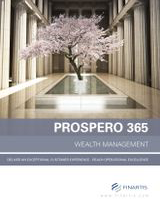 Prospero provides the possibility to create and modify everything you need, manually.